Clean up your act with our corporate cleaning services in Trenton, NJ. Here at Garden State Building Services, we provide a complete range of commercial cleaning and janitorial services. We’ll take care of your building from top to bottom. From small office suites to large facilities with multiple floors, we do it all. Utilize our services to ensure your employees are comfortable while they work and that your potential customers and clients feel more inclined to do business with you. 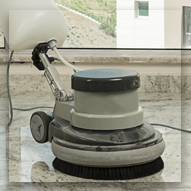 We have the cleaning skills and tools to provide you with a broad array of services. You want to keep your workplace looking nice. A clean office says a lot about the business, and you want every first impression to be a good one. 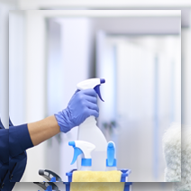 Rely on our comprehensive cleaning services to keep your work environment looking immaculate. From regular cleaning schedules to construction cleanup, our full range of services provides you with a solution that fits your unique needs. You won’t find more competitive rates or better customer service skills anywhere else. Our goal is to exceed all your expectations, so we work closely with you to ensure you have the service you require. You can depend on the employees and owners of our cleaning company to offer efficient service and careful attention to detail. Plus, our founder oversees every cleaning project to ensure it is completed on-time and stays within your budget. Our family-owned-and-operated company was started in 1978, and when you rely on us, we treat you like one of our own. From our humble beginnings cleaning small office spaces to our expansion into large complexes and commercial buildings, we are committed to providing excellent service and efficient cleaning. Our dedication to your complete satisfaction assures you that your facility is in the most capable hands. We’ll do whatever we can to accommodate your needs, including custom scheduling for your building. With so many options available, it just makes sense to work with our second-generation cleaning company that makes you a priority. Contact us to find out more about our corporate cleaning services. We proudly serve customers in Trenton, New Jersey, and the surrounding areas. Flexible day or evening hours tailored to your facilities' needs.